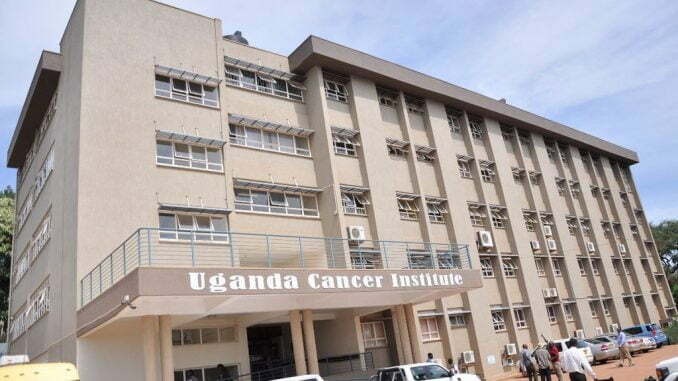 Doctors at the Uganda Cancer Institute (UCI) have reported an increase in cases of cancer among children. The deadly disease is now affecting more children than other common infections in the country. The doctors made the statement today during a press conference at the UCI Fred Hutch Cancer Research Institute. The event was organized to spread awareness about the International Childhood Cancer Day (ICCD) that is commemorated every year on February 15. Their records indicate that the incidence rate of cancer has increased from 400 new cases in 2015 to 490 in 2015 and 512 cases in 2017. 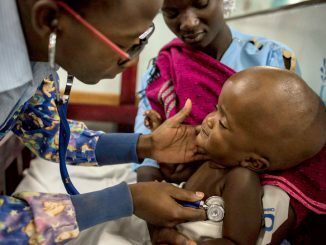 The disease is estimated to be affecting 7,000 children in Uganda today. The most common cancers in children are cancers that affect the muscles, kidneys and lymph nodes. 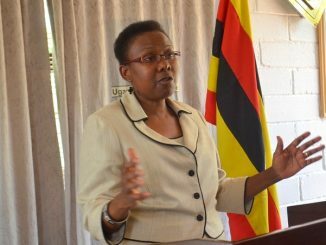 Dr Joyce Balagadde Kambugu, the head of pediatric oncology at the Uganda Cancer Institute (UCI) says that cancer is affecting more children than HIV. Dr Jackson Orem, the executive director of Uganda Cancer Institute says that even if cancer in children is on the increase, it has more successful treatment rates than in humans. At UCI, the success rate of treating cancer stands at 50 percent in adults while that of children stands at 80 percent. Dr Balagadde explains that this is because children respond better to cancer treatment compared to adults. “Children, unlike adults can handle the consumption of a large amount of chemotherapy and suffer few side effects. This is not the case with adults since most cancer patients have other underlying illnesses like diabetes that affect the effectiveness of cancer drugs,” he added. Dr Balagadde says that the biggest challenge that they are facing in the country as far as treating cancer in children is the lack of public awareness about cancers in children.